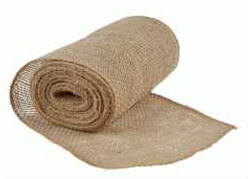 The company manufactures a wide range of Hessian Cloth of various ranges of width and specifications. 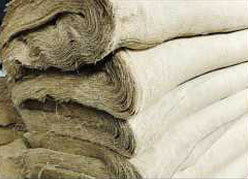 The company offers these fabrics as plain cloth as well as laminated, bleached and dyed. The cloth construction varies from 5 oz/yard (152 gm/sq meter) to 13 oz/yard (396 gm/sq meter) from width ranging from 30 inches to 80 inches. All materials are available in bale-packed/roll form or as requested by the user. Furthermore, the company also manufactures high quality and durable shopping bags in various sizes and styles custom made to the needs of buyers.